Nice place! 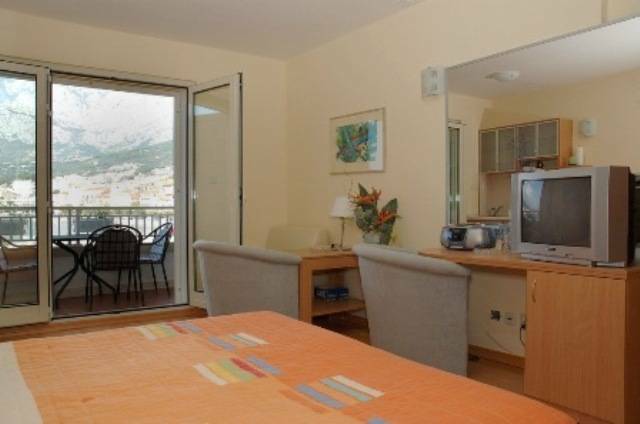 ... Studia Lulic is located at the southern end of the cove of the township of Makarska. Great views are afforded of the cove, the seafront buildings and the mountains in the background. 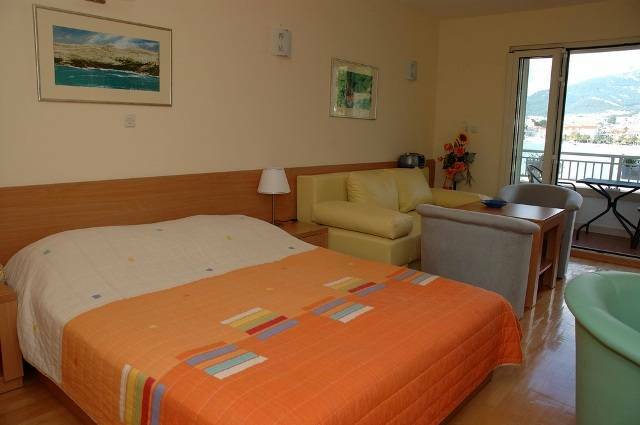 Studia Lulic consists of beautifully furnished, bright and spacious studio apartments on the main center street, a 8-minute walk from beach, Dalmatia's popular sea resort. 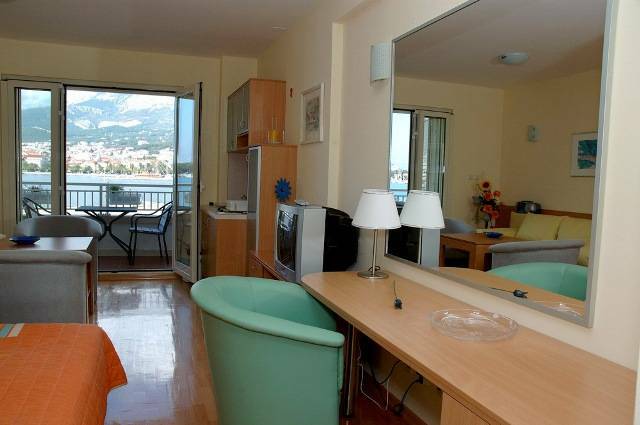 All studio apartments boast a fully equipped kitchen, a living room with dining area, a bedroom and a balcony with view on the center Makarska, mostly with stunning views. 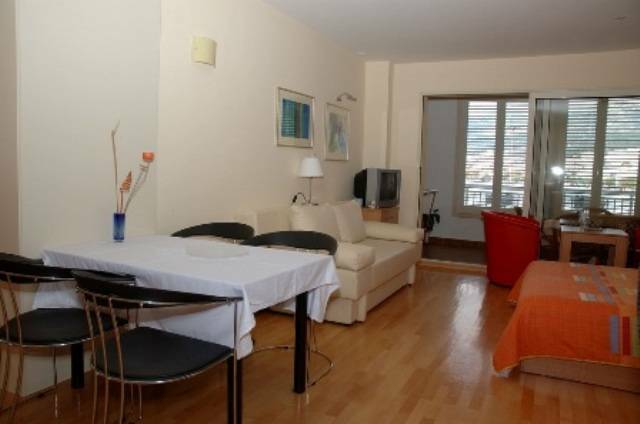 Studia lulic is air conditioned and all apartments have TV sets with satellite programmes as well as free Wi-Fi internet access. 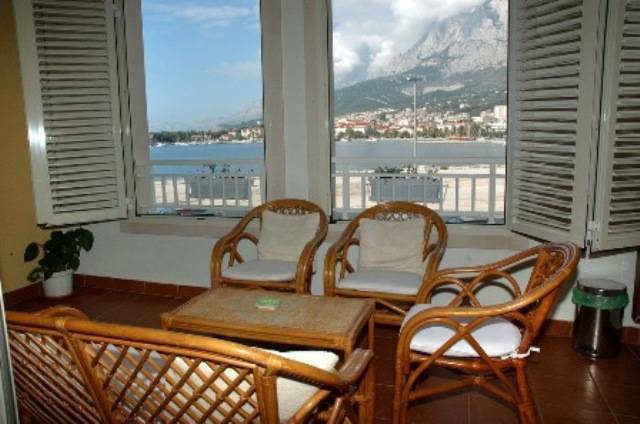 All studio apartments boast a fully equipped kitchen, a living room with dining area, a bedroom and a balcony with view on the center Makarska, mostly with stunning views. Studia lulic is air conditioned and all apartments have TV sets with satellite programmes as well as free Wi-Fi internet access.